Hiring a trusted skip bins company in Adelaide is easy if you know where and what to look for. This guide will help you with your task of choosing the best skip bin hire company that Adelaide can offer. We will also enumerate some bullet points that will help you in the easy, efficient and fast removal of rubbish in your home. Clearing a large volume of waste at home is an undeniably difficult and daunting task. Whether you are doing a home renovation, moving, or undertaking simple spring cleaning, organising junk can be very stressful. This is where skip bins hire in Adelaide come in. You need to make an estimate of the volume of rubbish you are expected to get rid of at the end of your project. Once you have determined the amount of trash, it becomes easier to choose from different skip bin sizes that rental companies offer. Two to four cubic metre mini skip hire bins are perfect for small renovation projects such as removal of soil and other refuse from landscaping projects, or tiles and flooring if you are renovating a room/s inside your home. A five to six cubic metre skip bin hire in Adelaide is the ideal size for general house rubbish clearance activities. You may also use this skip size if you are trying to dispose of soil and rubble for major home renovations. An eight cubic metre skip bin is excellent for light but bulky rubbish removal such as in the case of boxes, appliances and furniture. If you are clearing an old house of its contents prior to moving, this skip size is perfect. 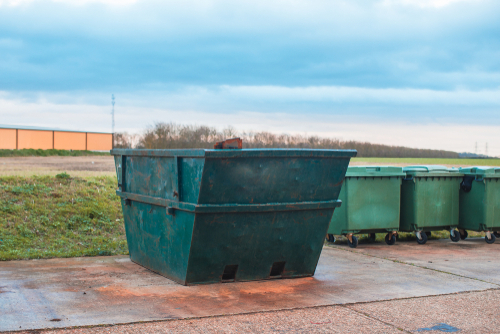 Skip bin companies will typically place rubbish bins on the driveway or any space within your property. In cases wherein property owners do not have extra space outdoors, you will need to secure a permit from your local city council. A reputable mini skip bin company in Adelaide will be able to assist you in getting a permit approved when you sign up with them. Remember that there are certain materials that cannot be disposed through mini skips. You need to understand that city councils enforce strict waste management guidelines for efficient and safe rubbish removal. Normally, hazardous materials such as tyres, paint, asbestos, and batteries cannot be thrown into a skip bin, and should be disposed of properly in a different manner. If you would like to view our existing promos and deals or wish to request a quote, you may contact us on 08 8325 3033 today.